The City Council is spending $5.5 million to renovate this outdoor space under the Metro North tracks on Park Avenue. The renovations will begin mid-September, according to the city. EAST HARLEM — The city will foot the bill for a $5.5 million renovation of the outdoor portion of La Marqueta, the popular neighborhood spot for live music and dancing under the Metro North track on Park Avenue and 116th Street, DNAinfo New York has learned. The money will be used to install new glass and metal panels along the exterior, build a new stairway and railings, install ADA-compliant restrooms, overhead heaters, a concession stand, improved lighting and new entrances, according to the city’s Economic Development Corporation. “NYCEDC has been working closely with Speaker (Melissa) Mark-Viverito to invest in La Marqueta as an economic hub and community center for East Harlem,” spokeswoman Brooke Goren said. Renovations are scheduled to start in mid-September and be completed by the end of the winter. 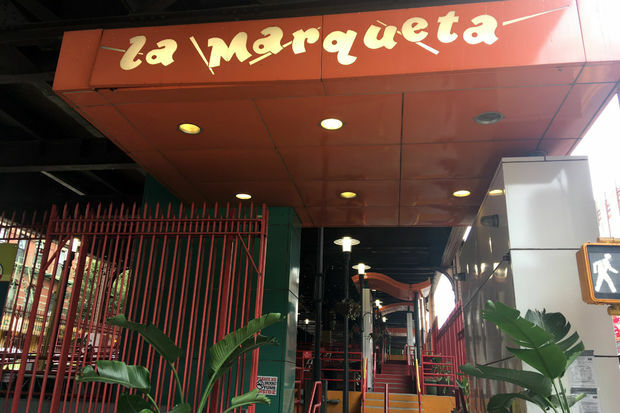 Although the outdoor space will remain closed, the shops inside La Marqueta will remain open. The space is currently used for live music, Zumba classes, salsa dancing and block parties featuring food trucks. Before 2014, when Mark-Viverito invested $3 million to the area, the outdoor space was closed except for special events throughout the year. Funding helped the city add lights, free Wi-Fi and flower planters to keep it open to the public.